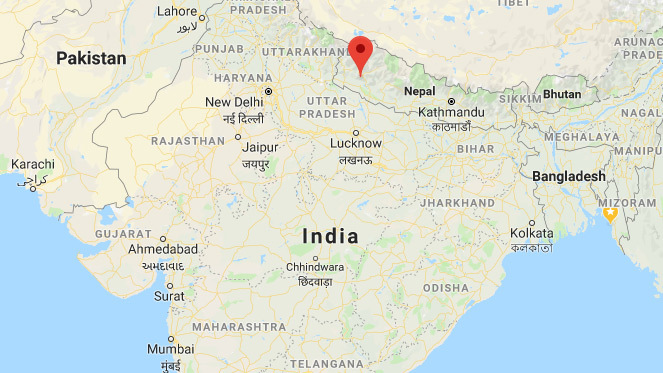 Approximately 1,000 people live in the village of Gutu in Nepal, about 800 kilometers away from the capital city of Kathmandu. There is no public electricity supply. 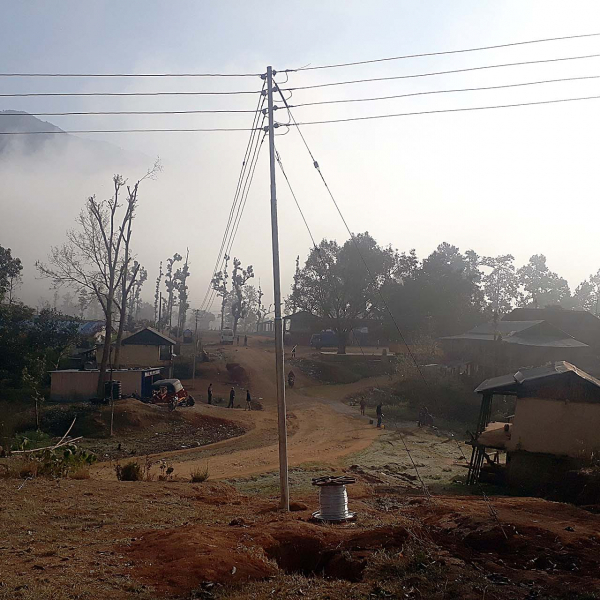 Until recently, everybody shifted for himself: open fires to cook on, smoke in the house, a huge stock of candles or the hum of the diesel generator at the local metal processing company were a part of everyday life. Find out why the village inhabitants have been able to leave all this behind them. Up until now, daily life in Gutu, west Nepal was determined by the sun’s natural cycle: it began at sunrise. As the sun rose higher in the sky, several small, makeshift solar collectors provided a small amount of rather unreliable electricity. This was generally only sufficient to charge smartphones; the hospital was supplied with power via its own PV system. Here and there, diesel generators produced their characteristic noise and odor. There was no standard household alternating current for electrical appliances, and inhabitants therefore cooked over the wood-fired hearths of their homes. In the evenings, the day then ended rather abruptly at sunset. 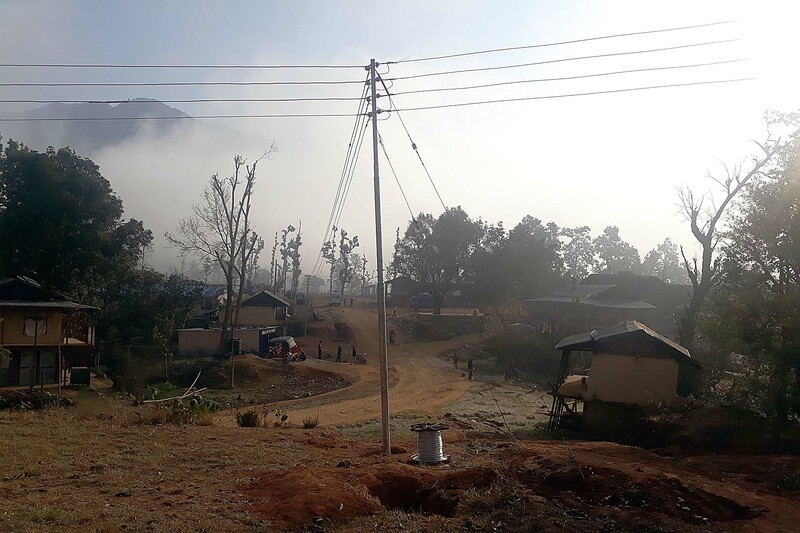 At that time of day, everything immediately went dark, and without electric current, there was not a lot the villagers could do. Only candles or open flame provided a meager amount of light. In March 2019, public life was completely transformed for the 1,000 inhabitants of Gutu. 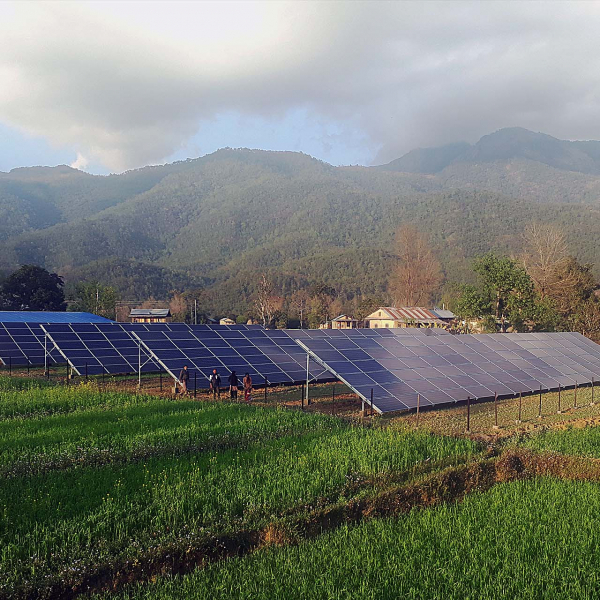 Since then, 275 households, a post office, businesses, schools, the hospital and administrative offices have been connected to a solar-powered micro grid. 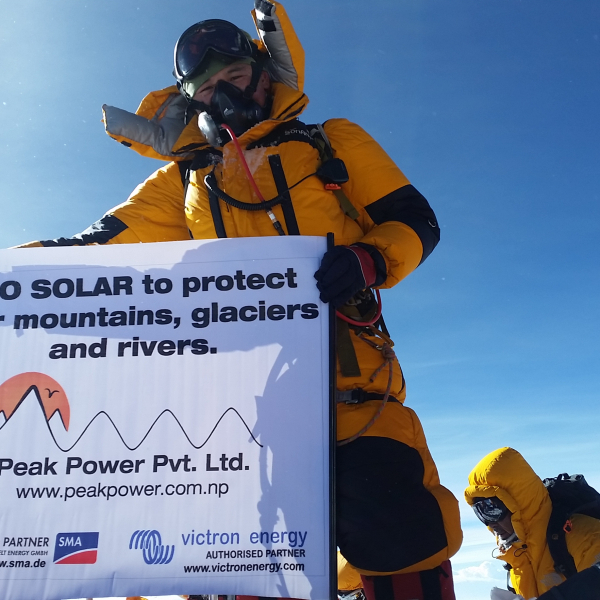 System operator Peak Power has set up a 100-kilowatt PV power plant which reliably supplies clean electricity to the location via more than 7 kilometers of overhead power lines. Every building is connected to smart counters which ensure sustainability and fair use in the community. People be in control of purchasing their own power. 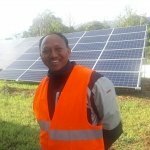 They buy energy in pre-aid way and reinvest the money from the energy back into the co-operative that operates the plant. In this way it remains a sustainable business. The system can be controlled and monitored via the online portal SMA Sunny Portal using 3G Internet. 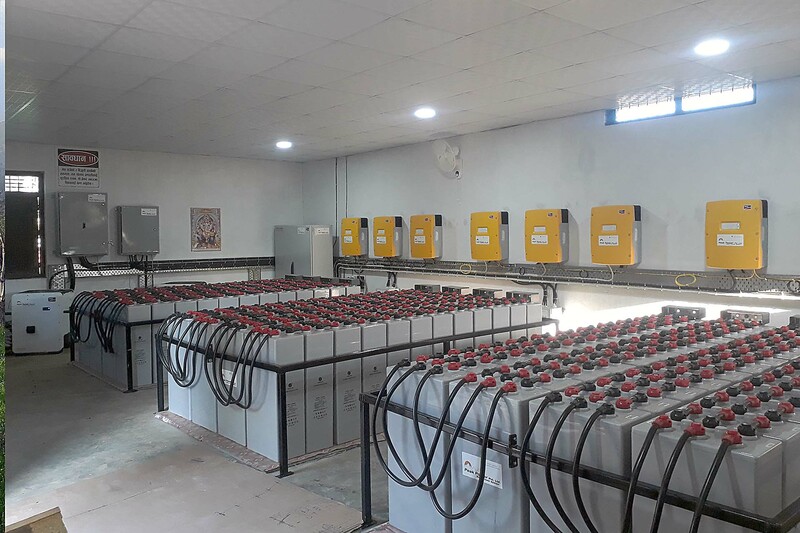 Any excess solar energy is stored by a battery storage which can provide the energy as required even after sundown. Within a particularly short time, the solar micro grid has substantially improved the quality of life in Gutu. The hospital, government office and bank are now in a position to reliably operate their IT and communication devices as well as in part vital AC devices. Finally, the school is now again able to utilize the computer room, which was put out of operation for years due to the unreliable electricity supply. Lights and heating can now be switched on wherever required. Farmers are profiting from electric grinding and husking machines and are able to process their harvest faster and more efficiently. The hotels are becoming more attractive for tourists due to their reliable lighting, hot water or cable TV. Several full-time jobs have been created in the power plant itself. The employees, who received appropriate training, are responsible for plant maintenance and administration of the settlement system, amongst other things. People are now able to cook using AC solar power instead of open fires – they use AC-coupled rice cookers without any soot and air pollution. The candles and diesel generators have mainly become redundant. The location is much quieter, and the air substantially clearer. 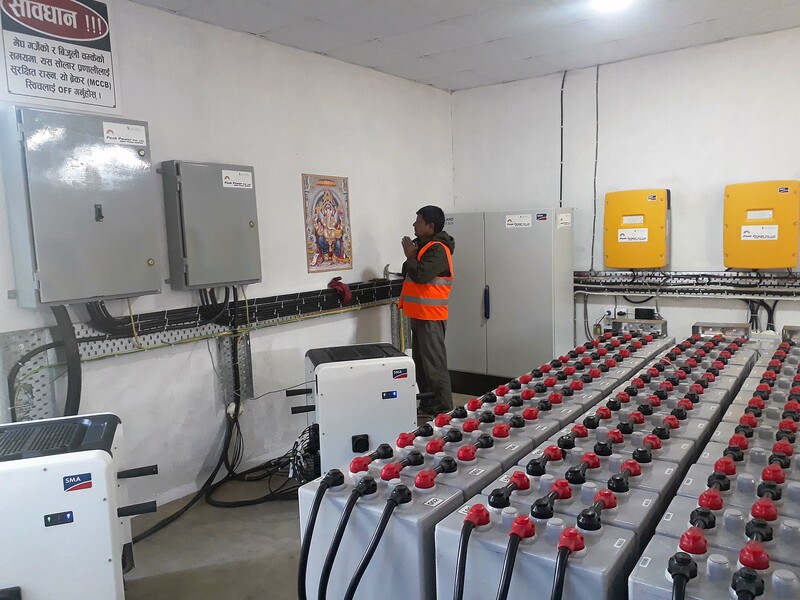 I enjoyed participating in the provision of a micro grid for Gutu and am excited to continue experiencing its positive effects on the quality of life for the people there. Ground mounted / 30 degrees south facing. 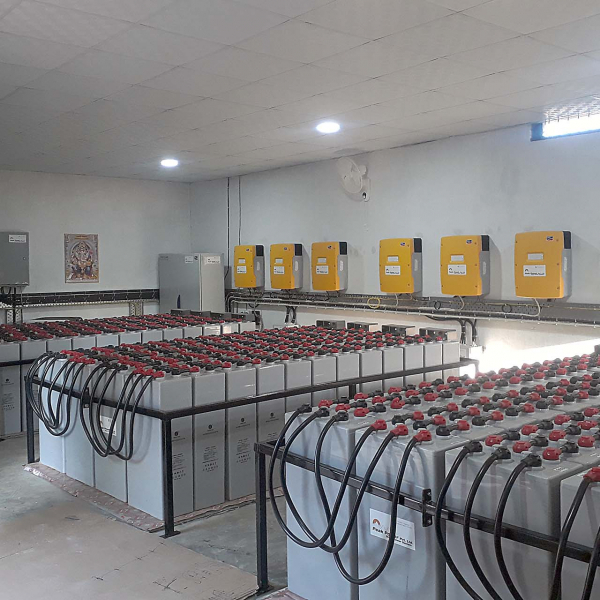 Engineering and commissioning: Peak Power designed and built this 100 kW micro-grid in collaboration with ADB, AEPC and the local partner Motherland Energy Group Pvt. Ltd. 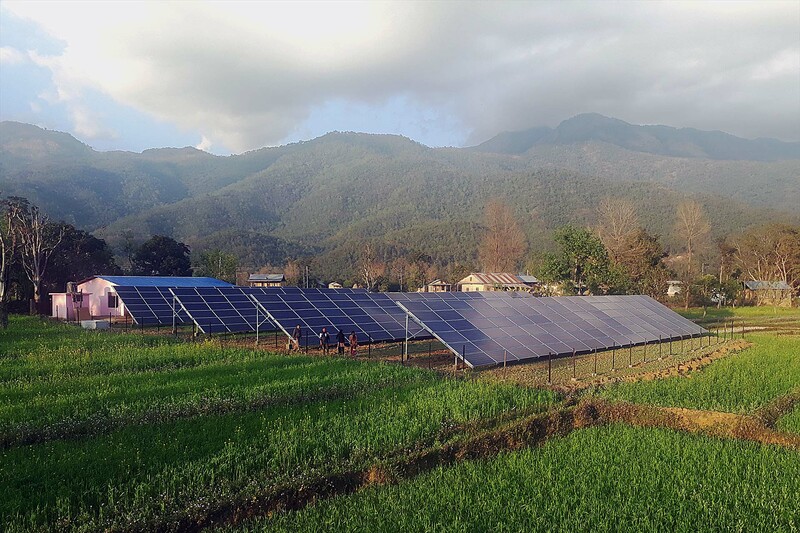 Seven kilometres of overhead lines supply solar power to the households. The elephant god Ganesha stands for the new beginning, for the beginning and the departure and is a pioneer into a new time. Excess solar energy is stored by a battery storage which can provide the energy as required, even after sunset. 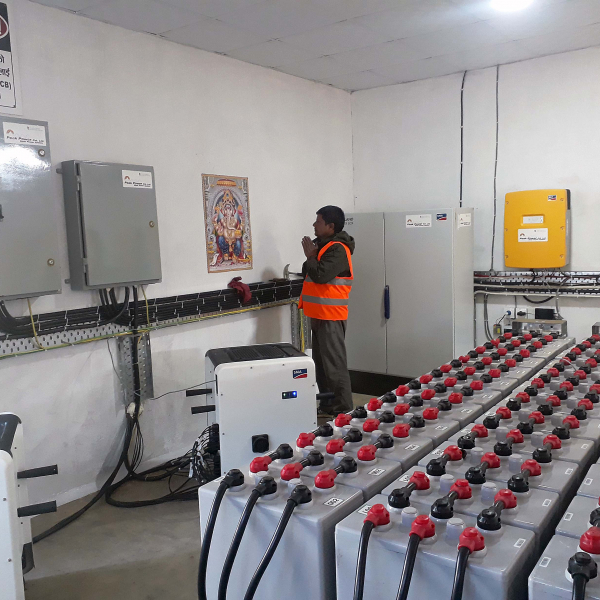 System operator Peak Power has set up a 100-kilowatt PV power plant in Gutu. 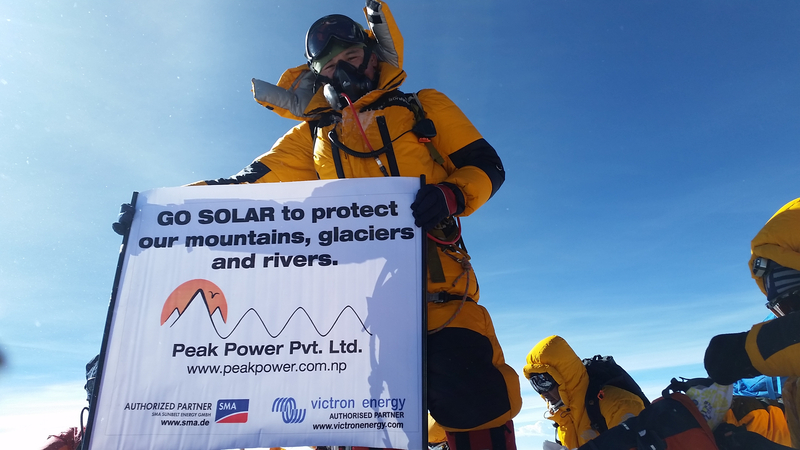 Message on climate protection from Mount Everest.